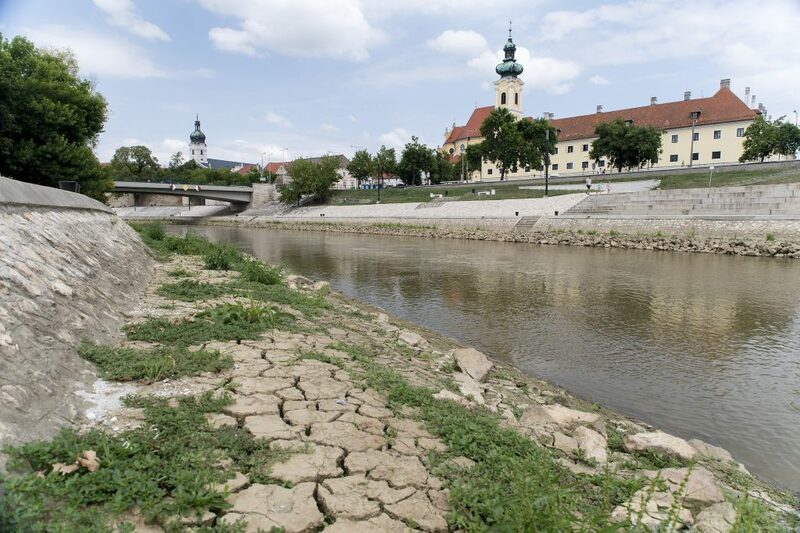 1- We want to book a river cruise for next October 19th on Avalon’s Active Discovery from Prague to Budapest We are getting a bit anxious about the low water levels this year, but of course realize that no one can predict next year’s level. Another option is for us to go in June. Any recommendations for the best chance to avoid inadequate water levels, whether high or low? 2- Any reviews on Avalon’s Active Discovery Cruises run by Globus? A – The reviews for Avalon’s Active Discovery Programs have been good. The line has done an excellent job branding the kinds of physically active activities offered by many of their competitors. 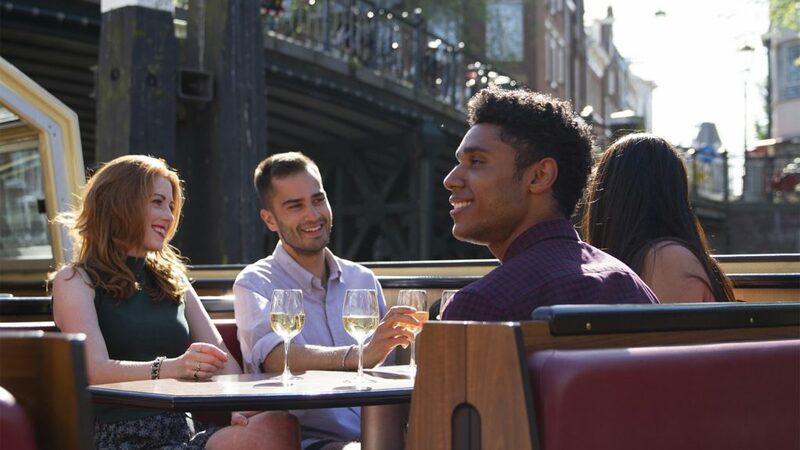 It is the way that river cruising will attract a younger demographic and it is what river boat executives are talking about in their boardrooms. We are seeing a decline in interest in traditional historical touring within Europe and the riverboat experience is part of that trend. Avalon has designed a number of programs that include hiking, biking, and kayaking. One of their competitors, AMA Waterways, has teamed up with famed adventure travel company Backroads to create unique activities for travelers who want to get out and explore on foot and on bike without the need to sit in a tour bus for several hours. We are not particularly enthusiastic about your intended travel dates. Our rule of thumb, when it comes to the Elbe, Danube, Rhine, or Moselle rivers is to have our clients home by October 15th. The rains can be bothersome during the last two months of October and all of November. We feel that these are times best avoided on the rivers. As the rain increases, so can the condition of the locks along the route. Flooding is not predictable but a late October departure increases the odds of a water level issue. That is one reason that you see price breaks during this period. 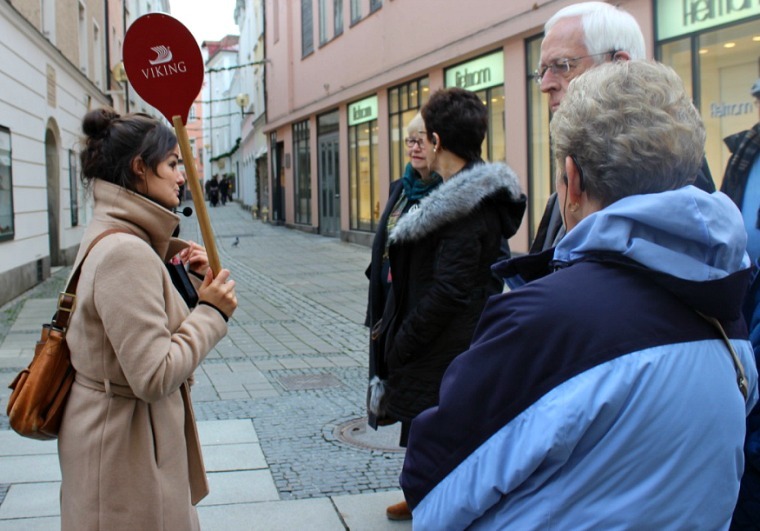 Q – How active are the daily walking tours? My wife & I are somewhat challenged by long walks. We can easily do a mile or 2 per day but must move slowly. My wife wears a “boot” that restricts ankle movement due to multiple surgeries & I have lower back issues that prohibit long walks without periodic rests. A – Without knowing your travel profile and health history, we really can’t offer a meaningful recommendation. We will tell you that, based on the information you have provided, we think that you should avoid river cruising unless you are willing to have your advisor arrange private drivers in each of the major ports. Even the slowest walking tours offered by the various lines will be inappropriate for your back and your wife’s “boot”. You will need frequent bench stops that would slow down the rest of the group. You sound like perfect candidates for private driver/guide arrangements that are suited to your specific medical conditions. Our concern is that the amount of walking that forms an important part of ever river boat itinerary is either going to be impossibly difficult for you or injurious to your conditions. Your advisor may be willing to take on the challenge of private arrangements but this will be a rather significant additional vacation expense. There are firms that specialize in travel programs for guests with impaired mobility issues. You may be a candidate. AMSTERDAM — A record hot, dry European summer has persisted into fall, leaving river cruise lines scrambling to reroute ships and keep customers sailing. 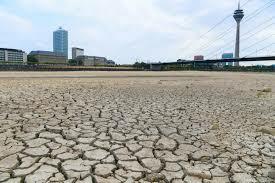 That is particularly true on the Rhine, which is so low that historical relics and a World War II bomb have been found along its dried-up riverbed. While high and low water levels are cyclical, causing river ships at times to reroute or to temporarily bus passengers to different ships or hotels to complete their itineraries, it is almost unheard of for such low levels to carry into October and November. Earlier in the season, the Danube and the Elbe were most affected, and there are still scattered issues on those rivers. But last month, the Rhine hit a record low, forcing river lines to abandon their popular Basel-to-Amsterdam sailings when the port of Cologne, Germany, was shuttered. Photos reveal that the river, which is a key commercial shipping route, looks more like the southwestern U.S.’s perpetually dry Rio Grande — which many New Mexicans sarcastically refer to as the ‘Rio Sand’ — than like one of Europe’s main waterways, on which you can now see huge, exposed sandbars; wide, dry banks; and exposed river bottoms. In some places, the water is so low that you can practically walk across, according to river cruise employees on recent sailings. Late last month, a bomb was found on the dry riverbed in Cologne. 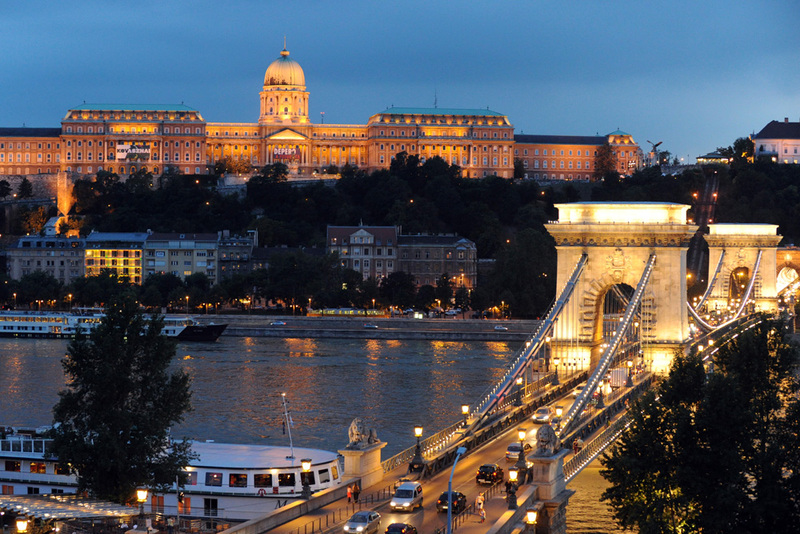 And in Budapest, a ship from the 1600s with 2,000 gold coins was discovered, according to news reports. While this year’s weather is extreme, high and low waters are cyclical, much like snowfall for skiers or hurricanes for beach vacationers. Because issues can pop up every few years, river lines always have extensive backup plans that include everything from simple cancellations and refunds to swapping passengers between ships at points that become impassable. The river lines use motorcoaches and hotel stays to keep tours moving on their scheduled routes, and they develop alternative itineraries that keep passengers sailing, albeit to sometimes unexpected ports of call. How dramatic the impact is on guests, who have already paid thousands of dollars for their vacation, depends largely on the cruise line. Viking, which has the largest European river fleet, declined repeated requests for information about how many cruises have been affected this year and about how they handle refunds, changes and cancellations. 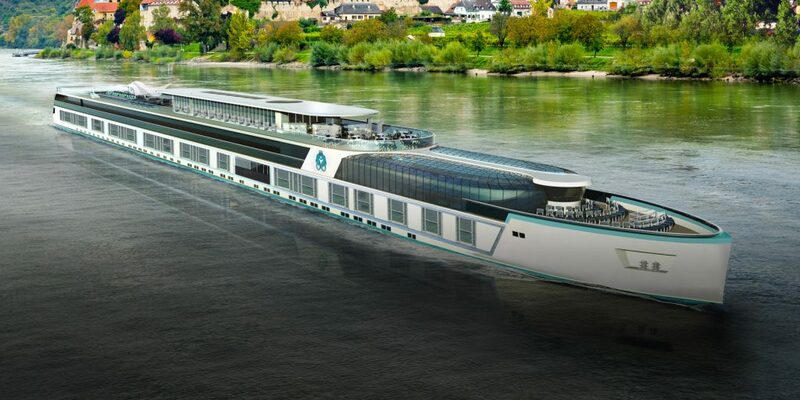 A spokesman for Tauck, which has eight ships on Europe’s rivers, said the company had been forced to cancel three sailings this year, one on the Danube in August and two on the Rhine in October, as it prepared to close out the season. Walter Littlejohn, head of Crystal River Cruises, which has five vessels in Europe, said he had lost count of how many itinerary changes Crystal had made this year in an effort to keep passengers off buses and on the water. 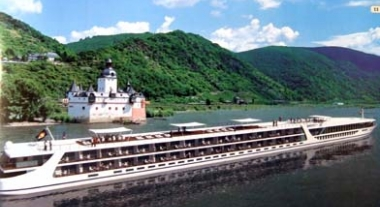 AmaWaterways, with 16 ships on affected rivers, has had a combination of ship swaps and slightly disrupted itineraries. The focus has been on developing new itineraries to keep guests sailing. CroisiEurope reported that it spent most of the summer swapping passengers between ships running from opposite ends of the unpredictable and extremely low Elbe. And Avalon said it has used a combination of cancellations, ship swaps and moves to land-based itineraries. James Hill, a U.K. agent who has been selling river cruises for more than 12 years, said that low water is not a new problem. And the costs to river lines are “not inconsiderable.” Those costs include moving or renting motorcoaches, hotel rooms and meals, putting together new excursions on short notice and extra administrative and operations expenses for altering itineraries and notifying guests. Additionally, many companies offer customers compensation for “lost days,” either as a cash refund or as a future cruise credit. Indeed, many companies are hesitant to share too many details of their compensation policies with the news media for fear of scaring off customers. 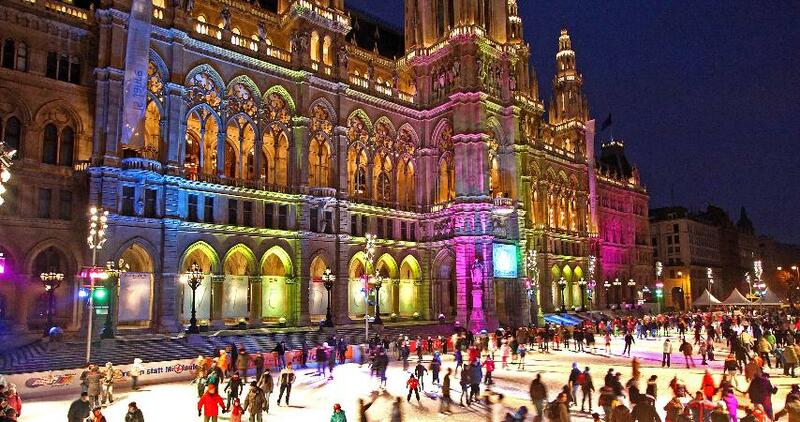 Still, there is no end in sight as river cruise operators head into the Christmas market season. AmaPrima captain Ron Schuegard said the Rhine would need at least two weeks of nonstop rain for things to get back to normal. But that doesn’t mean the season is over. AmaWaterways, Crystal and some others have restaged their Amsterdam-Basel routes to the picturesque towns of the Netherlands and Belgium — basically the spring tulip route without the tulips — and are prepared to continue altering itineraries as the fast-changing rivers allow. Passengers aboard a recent AmaPrima sailing that was rerouted through the Netherlands seemed more than pleased, not only with the company’s generous compensation offers but also with the opportunity to visit towns they might not ever otherwise have seen. Q – We are about to make a decision on doing a river cruise vacation with our college-age children. There would be five of us. We obviously want to spend time together, enjoy fine food and wine, and explore the villages on bicycles or hiking. A floating senior citizen center where no one gets off the boat to explore is something we are hoping to avoid. Our agent is trying to convince us to do a cruise ship because the crowd will be much younger. But we’ve just had a friend who says we should talk about barging, something we know nothing about. The kids were more interested in sailing a river than an ocean or the Med but now we’re really confused. Seems like we have three options. Price is not so much important and we’re fairly well-traveled. The kids have all been to South America and Europe and my wife and I have spent time in Southeast Asia. Any recommendations for my dilemma? Love the site. You have no ideas how helpful it has been but we wish there were more on Barging. A – The first thing you want to do is listen to the kids and forget what the agent is suggesting. The thing about cruise lines that few in the industry will openly acknowledge is that the higher up you go in quality there is a matching increase in average age. There are certain cruise lines where life is a carnival and the conga line forms about fifteen minutes before the anchor goes up. In the river boat sector the only line that caters to a younger demographic is U by Uniworld. You might want to look at it if you think you could stand being ensconced on a boat with primarily milllennials. One can only pray that the Wi-Fi is working properly or there could be Frappacino riots. Be careful with barging. It is an incredible vacation option, particularly in the south of France, but barge staterooms are smaller than the average prison cell in California. Barging is also a form of travel Russian roulette. Our advice is to delay your barge cruise until you can travel as a party of five or six. That will enable you to charter one of the lovely 3-bedroom boats with much more room and more luxurious accommodations. There are small cruise ship lines like Sea Dream, that have boats with fewer guests, 50 cabins, than even river boats. Sea Dream could be a wonderful option for the family, calling at ports their obese tonnage sisters have to pass in the night. Finally, allow us to burden you with a specific recommendation. We think that AMA waterways might have appeal to everyone in the family given the line’s operation in France and superior bike and hike programs. We do want to suggest that you worry less about the presence of seniors on your trip. They really remain on-board and they may step on you in their haste to depart the ship to explore ashore. DO ANY OF THESE RIVER BOATS PROVIDE FULL ROOM SERVICE? Q – Unlike most of the people who read this blog, we tend not to want to go out for dinner on ships. We prefer to stay in at night, stay in our shorts, having the food brought to our room. On some of the cruise ships you can order as much as you want and it will be delivered without any charge. Do any of the river boat lines provide that service and are there extra charges or limits on how much you can order? A – It all sounds rather elegant. We don’t know if there are quantity limitations, but room service, without additional fees, is available on Crystal, Scenic, and Uniworld. Please don’t signup for any of our personally hosted trips in 2019 – they are all rather full. Q – Well it finally looks like it is time for us to visit Russia as it would appear that they are now our closest pals. My wife and I have cruised before, mainly in France and one memorable cruise along the Duoro with AMA. We are semi-lux travelers and have reached the conclusion that Russia is a place worth knowing better since we may run into some Russians the next time we enter a voting booth. But, seriously, much of what we are seeing in Russia seems to be the “poor sister” of a major line. You just don’t see beautiful new ships being launched for this market. So, instead of wasting our time on the fake river boat channels, we’ve come to you. Please tell us the best way to see and sail the Volga. We can devote about 10-14 nights to this vacation and we would love to include some nights in Moscow and St. Petersburg. By the way, is there any way we might meet Putin. Willing to pay for it. A – We would suggest you look at the Volga Dream’s 12-Night Program between Moscow and St. Petersburg which gives you three nights in Moscow, 3 in St. Petersburg, sandwiched around a six-night Volga cruise on the best available river boat option available. 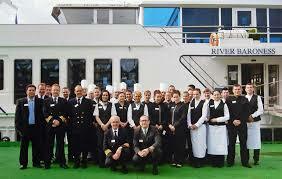 The crew is quite good as is the food, and we don’t know of any boat quite as luxurious on Russian rivers. Your travel consultant will likely recommend Abercrombie & Kent or Exeter International, two luxury tour operators that hold blocks of space on the “Dream”. Getting Russian governmental approval to operate a riverboat with a Russian crew is quite challenging and most of the river boat companies prefer to maintain a charter or leasing operation in Russia. Meeting Putin for lunch is only possible if you agree to pay off the country’s considerable debt or if you are an actual Trump Lad. But should you take the Volga Dream, keep your eye peeled for a shirtless Putin on water skis just to the left of the vessel. It could happen. Q – We are rather active travelers just now thinking about doing a riverboat cruise. We would be bringing our own helmets and would want to go bike riding just about everywhere along the Rhine itinerary. If there are castles to be seen, we’ll ride up the hills to see them, albeit we may stop for air once or twice. Don’t want to ship our bicycles river so our question has to do with which of the river boat lines have the best supply of bicycles so we are not disappointed and the best overall riding programs should we want to join others? A – The best overall riding programs are going to be offered by AMA Waterways in conjunction with Backroads, a noted bike and walking tour operator. A range of AMA trips are themed “active” for people like yourselves, although many of the riders who sign up may pass you on the hill when you stop for air. Then there will also be the riders on the other end of the scale who had no idea they were booking into an active tour – they usually pass on by mile marker three. Scenic and Emerald are also very strong options for bike riders. Tauck and Uniworld also have some nice bikes available for guests. If you are looking for the best overall programs, concentrate on AMA and Scenic. WE SEEM TO BE HEADED FOR WATER LEVEL PROBLEMS. HELP! A – Thank you for your note. We can well understand your concern but don’t quite understand why you are posing your question online. Your travel consultant is earning a healthy commission for your booking and should be in touch with you regarding the latest water level reports about level contingencies the agency is receiving from Avalon. Avalon will be in touch with your consultant and he/she will have access to the latest information. There seems to be a very serious breakdown in communication here and it doesn’t seem fair to you. Call your agent first thing in the morning and request a status report in writing. Our opinion is that your sailing may well be impacted. 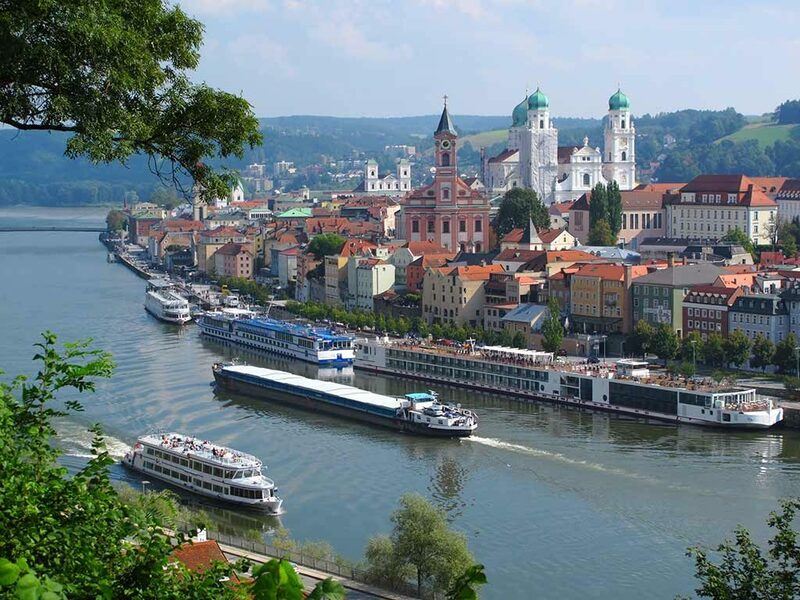 The Danube is experiencing low water between Passau and Regensberg, We don’t know what kind of insurance your travel agency recommended but we would recommend not flying to Europe to board a hastily arranged Avalon bus tour. Again, your travel agent is the key communicator here and it is that person who will be able to get you a proper refund. As your air is already arranged, your agent should have the contacts to get you a full cancellation while arranging a proper alternative land vacation in Europe if that is what you want. This is very last minute though, so understand you owe it to your agent to give her as much time as possible for alternative planning. We wish you luck with this. 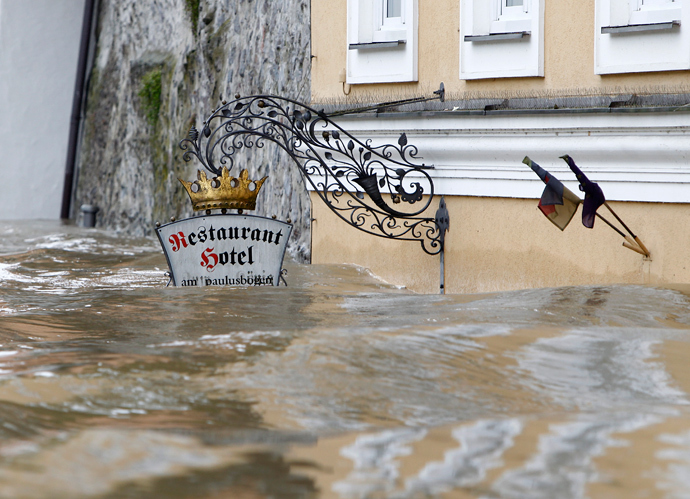 Be aware that river levels in Europe can dramatically change within any 24-hour period. Your note concerns us because there is no mention of a professional consultant who is assisting you with these arrangements. If Avalon accepted your reservation on a direct basis, they have insinuated that they will be performing the duties of a professional consultant. After all, they are definitely charging you the commission. It, therefore, falls to them to provide you with the specific information and reporting as well as assistance indicated above. Finally, let’s be honest. You need to take on much of the blame because you thought you could manage this yourself while willingly paying the booking commission back to the company. Booking directly puts you at the mercy of the supplier. We hope there is an agent involved for your sake. FOR A DANUBE CRUISE OUT OF BUDAPEST DO WE WANT PORT OR STARBOARD? Q – We couldn’t be more excited about our upcoming Avalon Cruise from Budapest to Nuremberg. The ship looks lovely and they even include wines with breakfast! 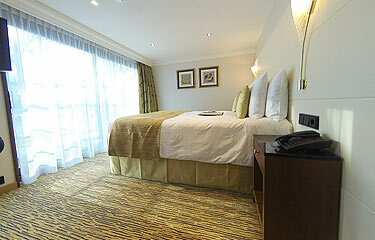 We’ll be facing the water from our bed so the question as to which side of the ship is best seems rather important. Really appreciate your advice on this. Love this site, you can’t imagine how helpful it is for first-timers like us. A – Well first let’s get the matter of breakfast wines out-of-the-way. Avalon graciously includes sparkling wine (think imitation Champagne) with breakfast. We don’t want you to think you will find couples dancing on the tables as wines are freely poured with the breakfast omelettes. Avalon is a refined but relaxed experience. If you choose a cabin on the starboard side of the ship you might be able to see the owner of the Backerei Konditorei Mistlbacher in Melk out for his morning walk. No – only kidding. You could see locals about their daily lives on either side of the river. One should never choose a European river cruise based on side of the boat. Instead, pick the part of the boat furthest away from public room noise and the engine rooms. Your travel consultant will help you make the best choice. Enjoy your cruise and your bed. AMAZING CREW ON THE BACH BUT REALLY WONDERING ABOUT ………..
Q – We have just returned from our third river cruise, this time sailing the Crystal Bach. We thoroughly enjoyed our previous experiences on Avalon and Vantage, but this experience was head and shoulders the best experience at sea we’ve ever enjoyed. 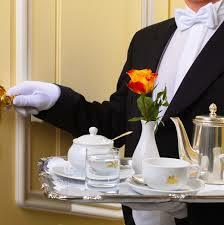 There was something so special about the manner in which staff on-board the Bach related to the guests. The service was, we have to say, flawless. 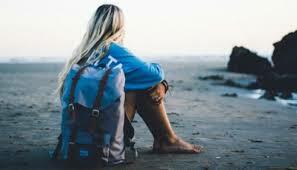 We keep a journal of every travel experience and distribute it to our friends when we get hope in a review format. We were frustrated because we couldn’t come up with any “cons” on this sailing. We know you probably won;t run this because you don;t like anything that smells like an ad, but we do have one question that no one seems willing to answer. Can just anyone apply for a job aboard one of these Crystal ships, what kind of background would you need, and, most importantly, how would the officers be compensated? 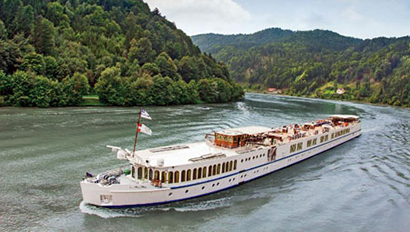 A – Crystal and the other top-tier competitors on Europe’s rivers, look for both Nautical Staff and Technical Staff with previous river boat experience that includes work on boats sailing the Danube, Main, and Rhine rivers. River boat companies are fortunate in that the central European countries along these popular routes have a fair number of maritime schools and the potential for highly-trained multi-lingual staff. But on-board training is always required. 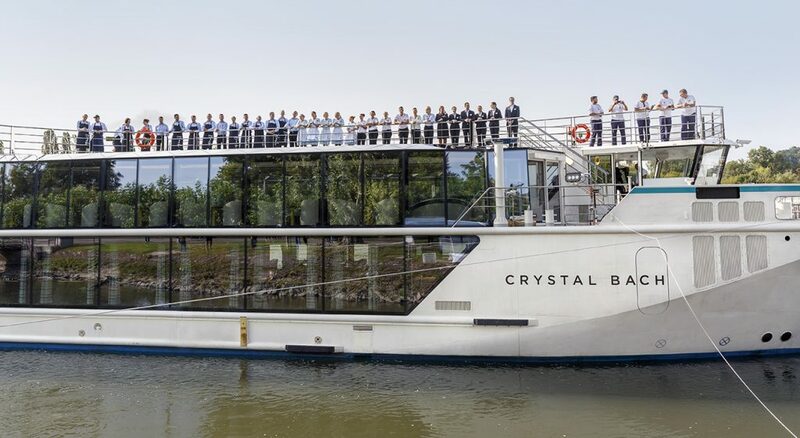 Crystal has been requiring its river boat staff to work and observe the service delivery systems on the lines two five-star ships, the Symphony and the Serenity. The ability to do this is unique to Crystal. We think it is a critical factor in their “quick-learn” service success. Officers on these boats receive full 12-month pay covering time off the ship and vacation. They work under an EU-based contract allowing them to receive all social contributions on behalf of the EU Security Administration. That means they get benefits in the same way they would if they were paying into social security in their own country. Travel to and from the ship for work as well as vacation travel is also included. Crystal maintains a private pension plan for employees who work year-round. They get free uniforms, internet, and special family and friends travel discounts. A staff gym is provided and officers receive the coveted “public room privileges”, meaning they are free to utilize lounges, dining room, and other public areas. Non-officers do receive travel allowances and some medical benefits. Crew generally works a six-month contract but that varies. This is a short response to your question but working six months straight, without weekends off, and long hours at that, is not a life for everyone. Smiling for six months might be the hardest part. IS THIS TRUE – OR RIVER MYTH? Q – A friend, who seems to be knowledgeable about all things travel-related, told us that the river boat lines, all of them but Viking River, do not hire their own crew because they don;t even own the boats. The boats are rented and the crew comes with the boat. Could this possibly be true. It is of some interest as we are looking to sail the Rhine on our first sailing and we are looking at Avalon and Uniworld on the advice of our same friend. A – Of the major river boat lines reviewed on this site, only three own and operate their own ships. They are: AMA Waterways – Crystal – and Viking River. The other companies lease their ships and at least portions of their crew. Under current lease agreements, lines can interview and be involved in the hiring of some crew members. Technical staff usually comes with the boat so that insurance requirements can be met. We wouldn’t read too much into whether or not a particular line owns its ships. Tauck, for example, leases their river boat and many of their crew members from a company called Scylla, a large Swiss shipping company. Tauck is rated above each of the lines you are considering. ARE U RECOMMENDING U AND CAN WE EVEN GO AT OUR AGE? Q – This is actually fun to read – so thank you for that. But can’t you post a few times a day? That would be much better. We are considering our first family cruise of any kind. I am a busy accountant and my husband is a wine importer. We have three children, all in their twenties, so finding a suitable product for all of us is challenging and the agents we’ve spoken to keep trying to talk us into sailing one of the larger ships “with something to do for everyone like Celebrity or Carnival. We’re not rich people but we live in a lovely home in an expensive Washington D.C. suburb so we can afford something nice. I’ve spent several hours online and none of made any sense until I discovered your riverboat site. My question is, with two sons in college and a daughter working for the State Department, does it sound like a riverboat vacation in Europe could possibly work, would you be willing to help us, what do you charge, and is Uniworld right for us based on the above. Hope that’s not too much to ask in one e-mail. A – Carnival is all wrong for you unless you are a fan of Vegas-style glitz. Celebrity perhaps. Look at it this way: Large cruise ships are like floating hotels. One or two are Four Seasons, many are Hyatts and Marriotts, and then there are a few No-Tell-Motels. Riverboats are more like floating trains. Everyone gathers in the club car. Riverboats do not give you days at sea – they are more immersive than cruise ships. You can definitely sail U by Uniworld. The company has removed the previously announced age restriction so fully formed adults and even actual AARP members can now sail this millennial riverboat line. We think it is a line that could please everyone but we would urge you to look at other contemporary lines like AMA Waterways. Riverboats actually provide more time ashore than cruise ships. You are off the boat every day. So aside from dinner and sleeping, the experience is really destination-oriented. Given that your “agent” referred you to Carnival, and you can afford something much more upscale, we would be pleased to help you in any way that we can. Just contact us and ask for a New Guest Profile/Application. Our services are always complimentary unless you ask us to design a custom-crafted journey with private guides and drivers. As for your request that we update our site several times a day – we have plans to do that as soon as Trump becomes thoughtful and mature. Seriously – the reason we can operate our Media Group and open source it to consumers is that we all have very nice day jobs in the industry.. Our time is a bit restricted. We do hope that, some day, we will be able to devote 100% of our efforts to keeping our sites relevant and updated. IS IT POSSIBLE TO SAIL ROUND-TRIP FROM AMSTERDAM? Q – We absolutely love Amsterdam and would like to spend a few days there both before and after a river cruise. That would mean, I suppose, that we would be traveling along the Moselle River, which one hears very little about. Our relatives come from Dusseldorf and we would love to return there as part of the itinerary. 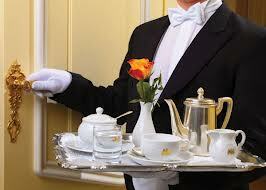 We are looking for quality and are loyal past Silversea guests. 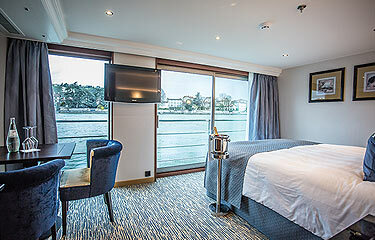 This would be our first river cruise and we would likely want one of the top suites. Any guidance would be appreciated. We have been using an agent for our travels but she is, admittedly, a novice when it comes to river cruises so we would look forward to the possibility of working together. Is the “sense of humor” really required? Oh, and by the way, is there a hotel in Amsterdam we should be looking at? How do we really get the best overall offer when we are ready to book? Thanks so much. A – Yes, on the sense of humor requirement. Sorry. Life is too short otherwise. The news on other fronts is, however, quite good. The Crystal Bach will be doing a new 10-Day itinerary round-trip out of Amsterdam called “Enchanting Moselle” (Don’t blame us we don’t name these things). This unique itinerary will operate from June through the end of October 2019. It will include the most beautiful stretch of the Moselle passing numerous vineyards en route to Bernkastel, Cochem (Reichsburg Castle), Trier (Roman ruins)m Bonn, and, yes, Dusseldorf. It will also include Arnhem in the Netherlands, and Koblenz. 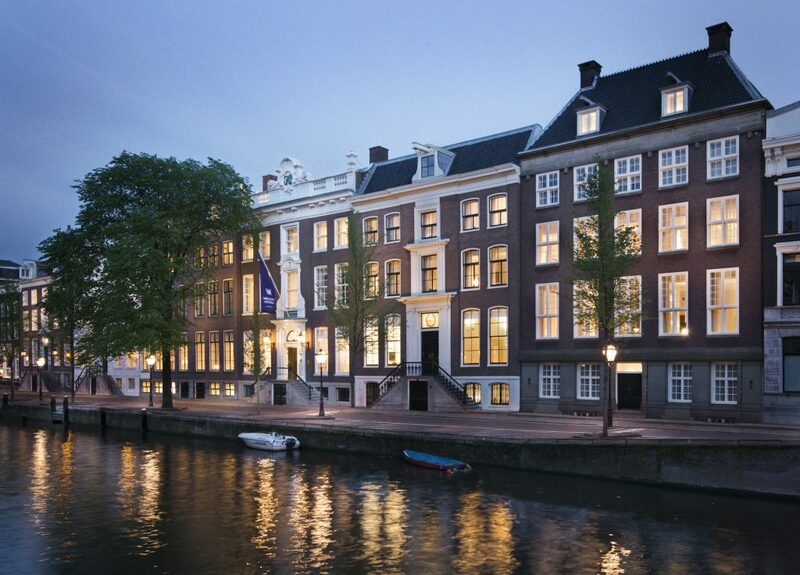 In Amsterdam we recommend the Waldorf Astoria in a canal-view room. If you prefer to stay in the Museum District, we would recommend the Conservatorium. Both offer upgrade and other amenities if your consultant is a member of one of the leading agency groups. When booking a hotel you never want to book directly or through an online site because you will not receive the complimentary upgrade, free breakfast and other perks available from consultants who belong to the top luxury consortiums. Unfortunately this is one of those important truths that the travel media keeps missing so most consumers are unaware as to how to best book hotels. Everyone screams “deal” but no one in the media ever discusses negotiated amenities offers available to guests booked by top tier consultants. Could it be that hotels would prefer you did not know that guests booked online or directly, do not receive amenities provided by connected consultants? VIKING VERSUS UNIWORLD; JUST HOW DIFFERENT ARE THEIR PRICES? Q – There is lots to absorb here and we’re reading everything you’ve provided for us twice over. But we’re doing it in the context of not wanting to have to re-mortgage just to see if we really like river cruising enough to repeat the experience. Based on the information you’ve provided, it seems that we are going to be looking at either Viking River or Uniworld for this trip, hopefully sailing in France and visiting Normandy. Our reading tells us that Uniworld is more inclusive, likely has more gourmet food, and, perhaps, a more sophisticated crowd. But we’re not seeing any hard cost comparisons on your site and we’re wondering if you could give us a summary of the cost of these two lines on a daily basis? A – Fair question and we will do our best to include more pricing information when we are asked. It gets a bit confusing because we are rarely comparing bananas to bananas, but your point is well taken. Any pricing comparison of per day (per diem) costs would not take into consideration which services are inclusive and which are not. It would not take into consideration whether or not drinks and gratuities are included or the training and size of the staff, So just looking at the per diems will give you a general sense of cost but unless you hired this year’s graduating class at MIT to drill down for analysis, there are going to be numerous variables. The biggest variable on Viking is the fact that it is likely you will end up purchasing shore excursions as the one shore excursion included in each port is usually the very worst option. Viking is not an inclusive product – Uniworld is. 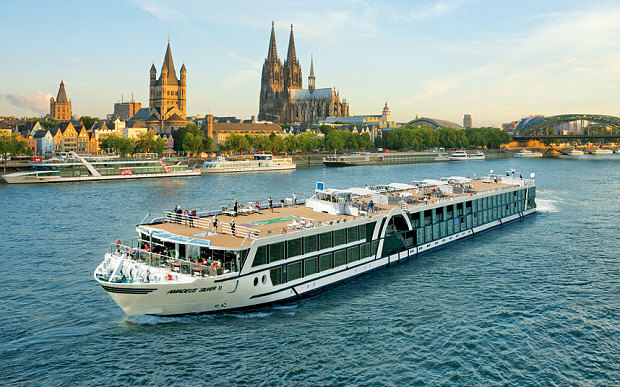 Comparing a Danube sailing in 2019 in similar mid-level veranda staterooms, Uniworld’s per diem, depending on date is in the range of $522 Per Person Per Day. Viking is closer to $336 Per Person Per Day. We offer our clients per diem price comparisons for all of the major lines and your travel consultant will do the same. You will also want to discuss what is NOT included in your fare as, you might be shocked to know, the ads really don;t point that out. Speak directly to a river boat headset and you will not get anything but “fake product news”. Dear with a professionals since you will be paying for it anyway. Q – I suppose you might say we are a bit different than some of your blog followers. We are well-educated, comfortable financially, and actually interested in learning as much as possible about the places we will be visiting (Likely a two-week European Waterways itinerary). 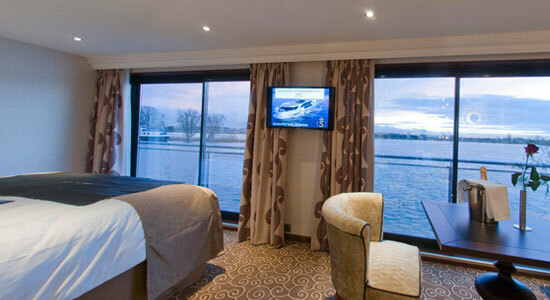 So we are prepared to choose a river cruise line solely on the basis of the quality of its tour programs ashore. We don’t particularly care about the food aboard, we imagine all of it on the better lines will be more than adequate. We don’t want help with air arrangements and we would likely skip the on-board “folkloric” entertainment. It would be so helpful, although I know I am asking a lot, if you would rank the lines in order based on the overall quality of their touring options on European itineraries. The ads and the “critic boards” etc. are all meaningless and contradictory. 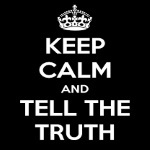 Thank you very much in advance for your wonderful efforts to tell it like it really is! SAFETY ISSUES ON EUROPE’S RIVERS: SHOULD WE BE CONCERNED? Q – A friend, who happens to be joining us on a river cruise next July, has sent us an article that raises questions about the safety aboard river boats in Europe. I’ve called the line and they assure me that they have all sorts of security measures in place and that they are always aware of who is on the ship. After researching this a bit I found out that the person listed as the Editor of this site wrote the piece, so I guess I am coming to the right place to get an answer. The piece was pretty tough on the lines although it did point out the safety measures each is taking to protect its passengers. But why was the question raised in the first place? A – The article appeared in Travel Weekly Magazine, the leading industry publication. It was a carefully-researched Opinion piece. The article sought to address issues related to the comparative lack of security on riverboats compared to vessels in the cruise sector. The piece came about because a number clients have mentioned that, while they loved the entire experience, they might not go on another river cruise because they just did not feel that they were in a totally secure environment. Our observations, based on extensive research, is that river boats in Europe are constantly improving their on-board security and that the possibility of non-passengers boarding a vessel is not, in our minds, a serious enough concern to advocate against this kind of vacation. Our primary concerns have less to do with what happens on the gangway or aboard the ship than it does with the general lack of security in the port areas of the locations along the Rhine and Danube where river boats dock. There is no obvious police presence and the thought that anyone could drive a van or truck right up to several river boats tied together is something we feel obligated to point out. The proper perspective for this line of thinking is to consider that being on any river boat, virtually anywhere in the world, is statistically safer, by a really wide margin, than your most recent taxi ride to the airport or visit to your bathtub/shower. Commercial aircraft, cruise ships, and river boats have extremely impressive safety records. They are statistically safer than remaining in your home. But we do believe that there is still room for improvement along Europe’s rivers and, despite the fact that we are among the nation’s largest river boat specialized firms, we will continue to speak about this issue. WHY ISN’T AMA TOP-RATED? SHOULD WE BE CONCERNED? Q – We have two sets of friends who have returned from an AMA cruise in Europe and both couples said we should not go with anyone else. But we notice they do not score at the top of your ratings. Anything you know that our friends didn’t know? We think your web site offers a great service but we just wonder about the discrepancy. 02 – Our own review of AMA states that “Ama Waterways is, in our opinion “The Best Value for the Quality” in the European market.” That sounds to us like an endorsement – quality and value are a tough combination to beat. We think you should go with your friends recommendation. Q – I am very interested in taking a cruise along the Rhone next summer. I am looking carefully at Viking River and Uniworld, both of whom I hear are very good. Viking is, I realize, a lines that includes less but the ships are lovely. I am wondering about how many passengers they carry on average and how many crew each line employs to handle their guests. A – It depends, of course, on the specific boats. But based on their most popular designs, the Viking ships carry 190 guests (Longships) served by a crew of 50. Uniworld carries 157 guests served by a crew of 58. The lower crew number and thew additional 40 guests to be served, has a significant effect on bottom-line pricing along with the total inclusivness of the Uniworld product. Unless the cost difference comes out to be more than $400 per day, we would definitely recommend the Uniworld experience. Q – While we keep hearing that riverboats are designed for a “mature” traveler, we are a bit more active than most and we would never want to begin a day without working out or, better still, having yoga classes to attend. We would want to do that before galloping around these European towns on our own. We also appreciate really fine wines – not what passes for “fine wine” on some of the large cruise ships. My wife has taken numerous wine classes and we would never want to dine on the ship without some adequate even superior wine options. I suppose if we could be served wine while we were doing yoga poses that would be ideal – but, look, we’re realistic. We just want to have what we want to have. Is there any river boat line that you think wouldn’t turn us off? A – Based on your question – we’re not sure. But your best bet is likely to be Crystal.They have a well-appointed small Spa as well as a dedicated Fitness Director (not at all common on river boats) who leads daily fitness and yoga classes. So check box one. Crystal also employs wine sommeliers on each of their boats and they are pouring some inclusive wines of note. 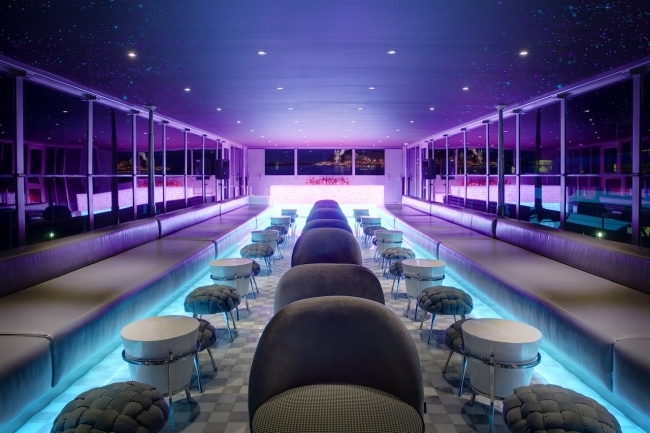 Crystal is the go-to line for those who appreciate five-star hotel and restaurant services. They are the top-rated river boat brand for any number of reasons and your question helps identify two of them. WHICH RIVERS HAVE THE HIGHEST LIKELIHOOD OF FLOODING OR LOW LEVEL ISSUES? 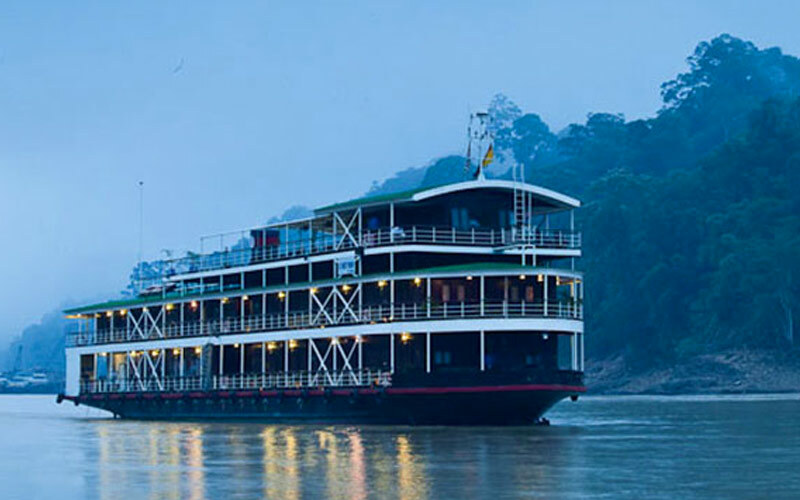 Q – Our family of six has been interested in the concept of a river cruise for more than two years. We felt we were getting nothing but highly exaggerated sales pitches until we found this site. 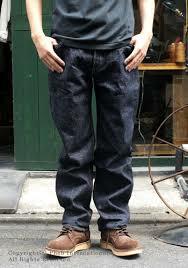 Now, we’re not sure if we wish to proceed as the water level unpredictability issue really stymies us. It just seems that when you take a river cruise in Europe you assume a certain risk that the thing won’t even operate. Wondering if you have any stats that will help people like us decide which river carries the lowest risk? We would almost certainly be traveling in mid-summer and we’re not looking for the cheapest anything. A – Your premise is not inaccurate. The river boat lines we’ve interviewed place the cancel or adjust itinerary rate due to water levels as somewhere int he range of 5%. We think it is a bit higher than that – closer to 8%. But the lines are getting better at informing guests in advance and they are also improving the quality of their land arrangements in the event that a ship cannot navigate the river. There is one more component to this: the lines that cater to Americans are on a growth tear. This means that the percentage of guests in a flood or draught situation who can be moved to another one of the company’s boats keeps growing. So we are seeing some better outcomes when water levels are an issue. Finally, let us point out that your question is based on, what might be, a false assumption. We handle upscale vacation arrangements worldwide – many of them not involving travel on rivers or oceans. There is a statistical possibility of cancellations, weather-related interruptions, strikes, or terrorist threats no matter where or how in the world you travel. Yes, river boating has this built-in anomaly, but it also has an extremely high “satisfaction score” when compared to other vacation options. 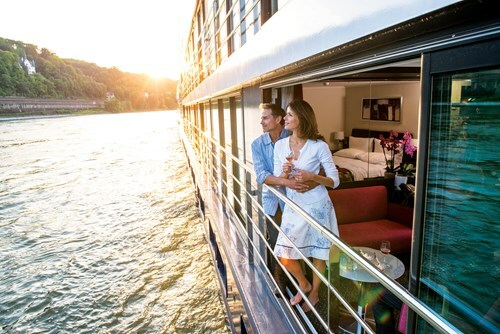 As one of our first time river cruise guests told us when she returned, “We’ve been traveling the world for the past twelve years and I finally found a type of vacation where the pace seemed almost perfect.” One of the secrets behind the success of river cruising is the pace of the vacation experience. It is worth the “8% risk”. WHAT IS START-UP DATE FOR VIKING’S MISSISSIPPI RIVER CRUISES? Q – We have sailed with Viking River twice on the Elbe and the Soane, and we just returned on a wonderful Viking Cruise sailing up to Norway. We can’t say enough about this company. We’ve been excited to hear of their plans to place several new boats on the Mississippi but we’ve not heard when this will be starting up. Any information would sure be appreciated. A – The news is not encouraging. Two years ago, Viking seemed very enthusiastic about this project, intending to sail the upper Mississippi with several stops in the Quad cities area. Now, cities along the planned initial itineraries have received a somewhat terse notification from Viking stating that they have “terminated current discussions to build vessels in a US shipyard for Mississippi and U.S. coastal cruising.” Viking seemed to hope that it could build the ships in an overseas yard and claimed that it already had contracted with a European shipbuilder. 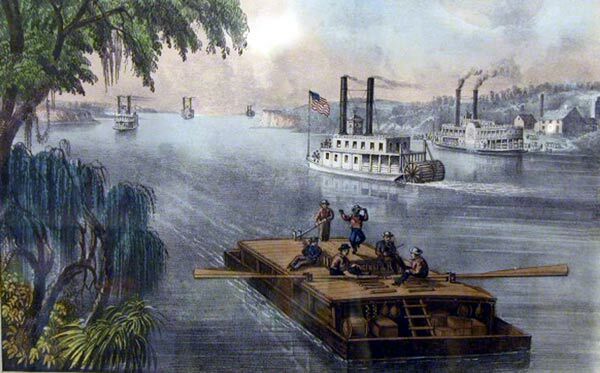 The stumbling block is something called the Jones Act which requires vessels sailing between US ports or inland rivers to be built int he United States and to be operated by American crews. It would appear that when Viking made its announcement, it was partially based on the assumption that a President would be elected who would strive to overturn the Jones Act. It seems unlikely that President Trump will come out in favor of overturning the Jones Act. Viking River claims it is continuing to work on “The Mississippi Project”. But your cruise on Viking could be many years away. Perhaps it is time to consider one of the companies such as The Mississippi Queen Steamboat Company, or American Cruise Lines, both highly reputable companies. Loyalty is admirable – but Viking’s Norwegian owners haven’t earned it on any of our US rivers. IS THERE A WAY TO TOP TAUCK IN THE GREEK ISLANDS? 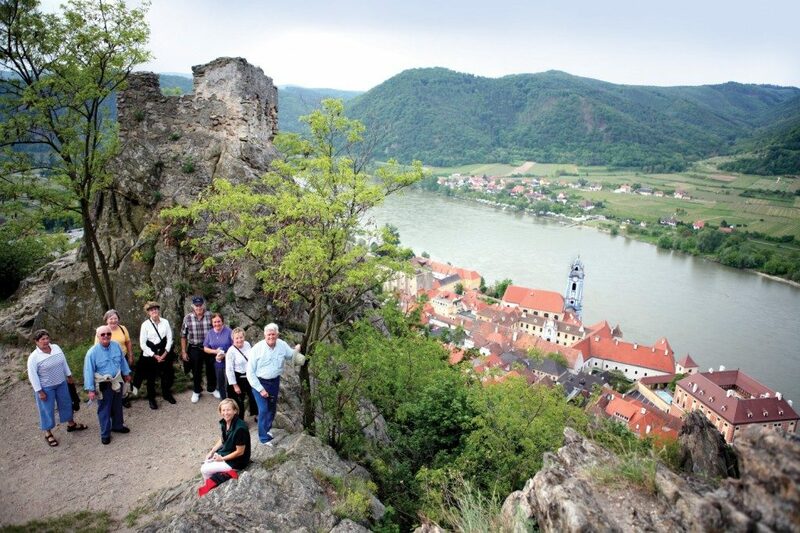 Q – My husband and I just returned from a Danube River Cruise with Tauck. We loved every minute of it. Service, food, itinerary was exceptional. Would you recommend a ship that cruises the Greek Islands that compares to the MS Joy with Tauck? By the way, we used your website to decide on which river cruise to take. It’s the best source of information on cruising. Maybe someday you will critique land tours as well. Thank you for your input. A – River boats do not do the Greek Islands so you are going to have to look for a luxury cruise line that is inclusive but not too large. If you loved Tauck you would hate one of those floating shopping malls they call cruise mega-ships. But there is, we feel, an extremely good option for you while still maintaining the level of intimacy you found sailing Tauck’s Danube. 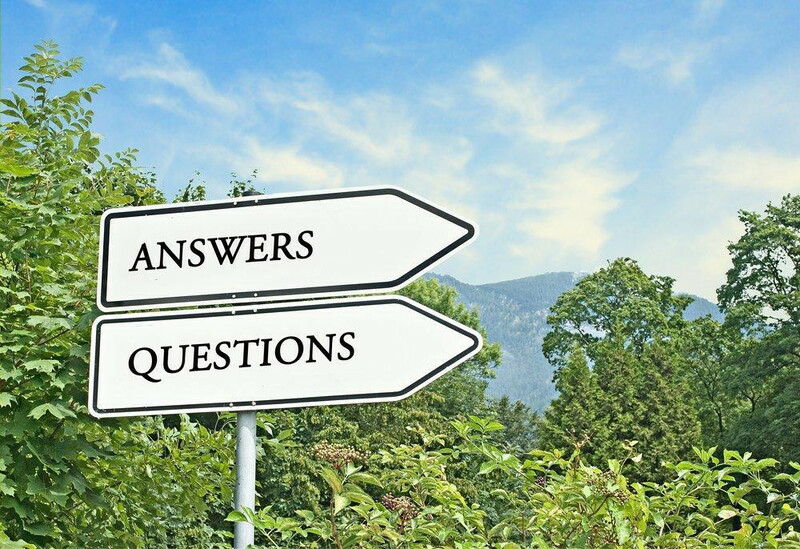 For information about tour operators, you might want to visit our Q&A site, www.traveltruth.com This is our site for non cruise-riverboat information and it is our only site totally devoted to answering reader questions about any aspect of the travel industry. Which tour operator we would recommend has a lot to do with the destination – some operators are uniquely strong in portions of the world while they tend to subcontract in others. It is a lengthy conversation. Not as lengthy as a Kelly-Ann Conway distortion – but lengthy never-the-less. Can you please provide advice on which cruise line, or lines, would be most suitable for a woman who wishes to cruise solo? For example, are there lines that offer single cabins? Arrange dinner tables to include solo travelers? I am an active, sixty year old, English speaking Canadian who enjoys meeting people from around the world. I like beautiful scenery, learning about new places and cultures, reading a good book, listening to music, walking and partaking in excellent food and drink. Is this too much to ask for? This will be my 6th trip to Europe but 1st time on a river cruise and 1st time travelling solo. A – There are really several questions here so we are going to have to give you a few recommendations. First, no river boat cruise line of quality builds single cabins – the economics are just not there on these small ships. There are no formal policies involving sitting singles together and creating the kind of environment, and stimulation, you are seeking. Most travel agents will try to steer you toward Viking River or, perhaps, Avalon, as they have some favorable rates for singles. Our advice, however, would be for you to seek out, instead, the very best quality experience because it is there that you will likely find more sophisticated travelers. It strikes us that for meeting other people and overall quality, you might want to look at Scenic first. After that, we would recommend Tauck and Crystal. Each of these three lines will carry an upscale traveler with many having the kinds of travel and life experiences that might make for some interesting travel companions. We would not book any line that is charging you a 100% supplement to travel single – that is just a rip-off. But if you find something on one of the better lines for a 50% supplement on one of the lines we have recommended we would advise you to strongly consider it. Finally, if we have not sufficiently confused you, we would point out that river boats are highly scheduled affairs with little time for relaxing and book reading. From the description of what you really are seeking, it strikes us that a small ship, luxury cruising experience might be much more in keeping with your goals. It might be best to discuss this with a local agent at home. If that is not possible or encouraging, it would be a privilege to further assist you. We trust that whichever waterway you choose, the trip exceeds your expectations.